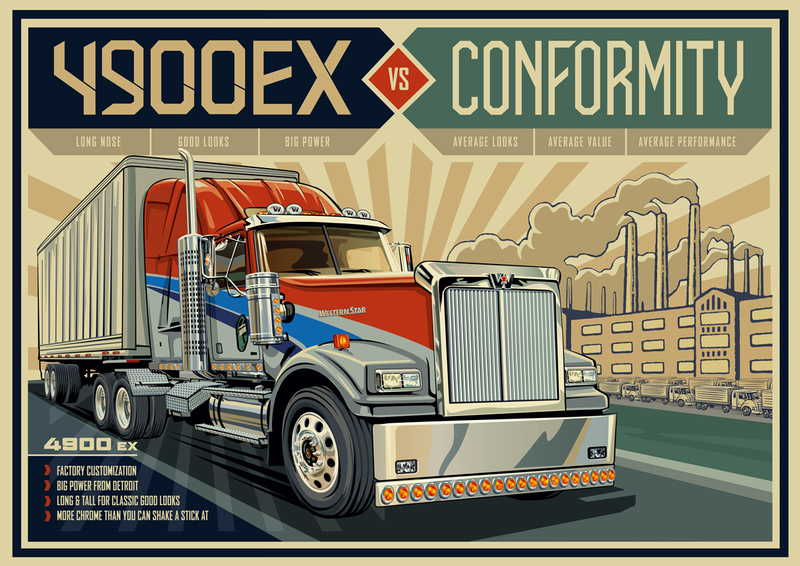 Harboring from Maroochydore, Queensland in Australia, Laura Eddy is a graphic designer and web developer by trade. 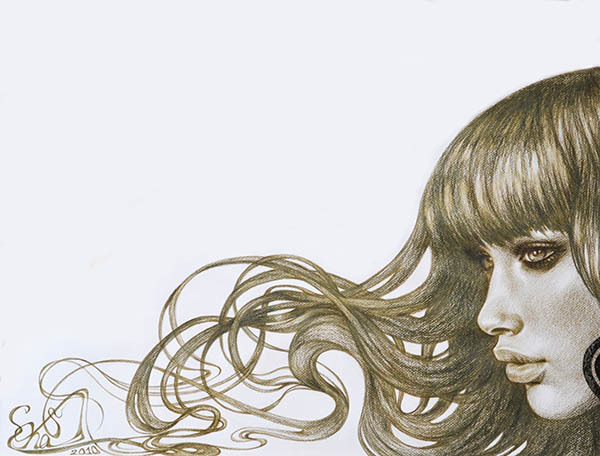 She also enjoys drawing with graphite pencils, and the results just blew our socks off. 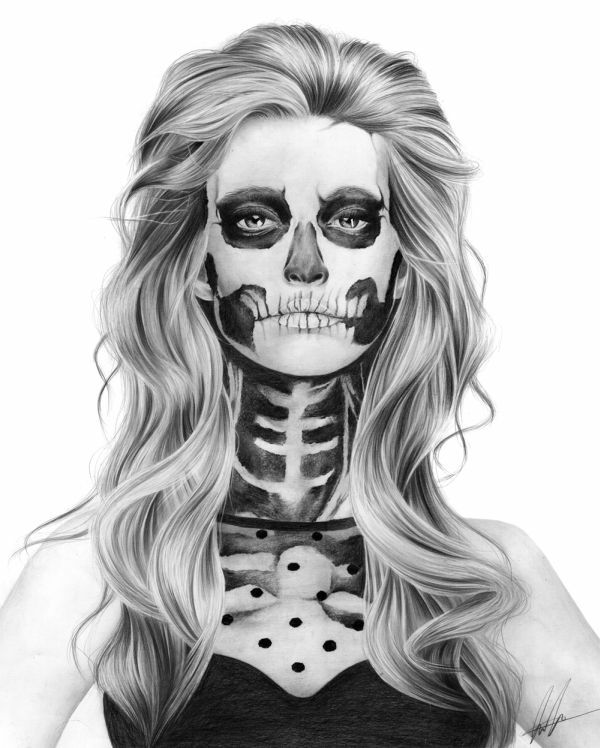 Her work is especially stunning once you take into consideration the fact that she only picked up a pencil last year. Since then, her drawings have been garnering quite some attention on the internet, with their marvelous attention to detail and superb realism. 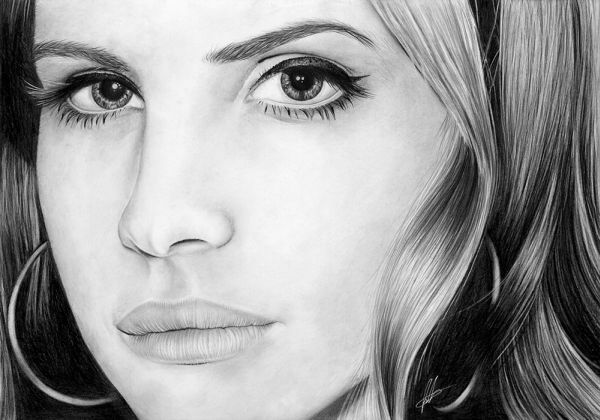 She specializes in portrait illustrations, a lot which are of fabulous celebrities or models she likes, such as Lana Del Rey or Alexander Skarsgård, but she also does original drawings, aided by several source photos for reference. On her website, you can check out her rather impressive arsenal of tools, which she calls “drawing essentials”, along with a description of why she works with that pencil, or that type of paper. To name just of few of her essentials, we have Staedtler Mars lumograph pencils, which she uses because they are smooth and easy to blend; and Staedtler permanent Lumcolor, used for signing her works. If you check out the full list, you will notice it is Staedtler dominated. Laura says it was not intentional, she just really likes them. She is an alumni of The Sunshine Coast University, in her native Queensland, and it is a safe bet to say that her university’s focus on art has influenced her, at least, a tiny bit. 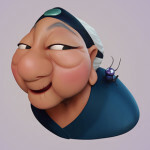 She is a Bachelor of Computer Based Art & Design, Graphic Design, Communication, Web Design, Photography and Advertising. Let’s just say she is a visual artist. Now that you have the biography, lets delve into Laura Eddy’s art. Like we said, her illustrations are absolutely stunning; a real joy to behold. 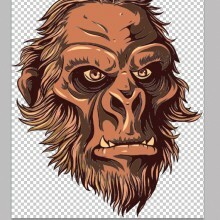 So here are some of these illustration. You will probably recognize a few faces along the way. Made after an original photo by Josh Escueta, this illustration is a feat of technical prowess. Just look at the gorgeous 3D effect pulled off just by using plain, ordinary pencil; the way it makes you feel just a little bit dizzy looking at it. It looks like a picture in motion. Vibrant and with a certain life to it. Pauline Darley made a gorgeous set of pictures for Ever Magazine. Miss Eddy was obviously impressed by these photos, and chose this expressive portrait to illustrate and make her own. A slight change she made, that really adds a whole new dimension to it, is making the model’s hair white, rather than the original black. The title of the original photo shoot is “She Has Waited Too Long”, and the white hair definitely makes the symbolism a lot more poignant. Die Antwoord have taken the music world by storm these last couple of years. Their look is an intricate part of their on and off stage presence, and their fans have taken notice of this. The output of fan art by Die Antwoord fans is very prolific, and now Laura’s own portrait of frontwoman Yolandi Visser is part of it. Her portrait stands out, of course, with its brilliant shading and, probably due to the band’s look, almost surreal atmosphere. This portrait is reminiscent of the 60’s and 70’s psychedelic movements, with a bit of Andy Warhol pop art thrown in for good measure. Unlike the greater majority of her work, this drawing is done in color, and it shows that Laura Eddy is not a one trick pony. She handles color just as well as she handles shades of gray, making her a truly versatile artist. 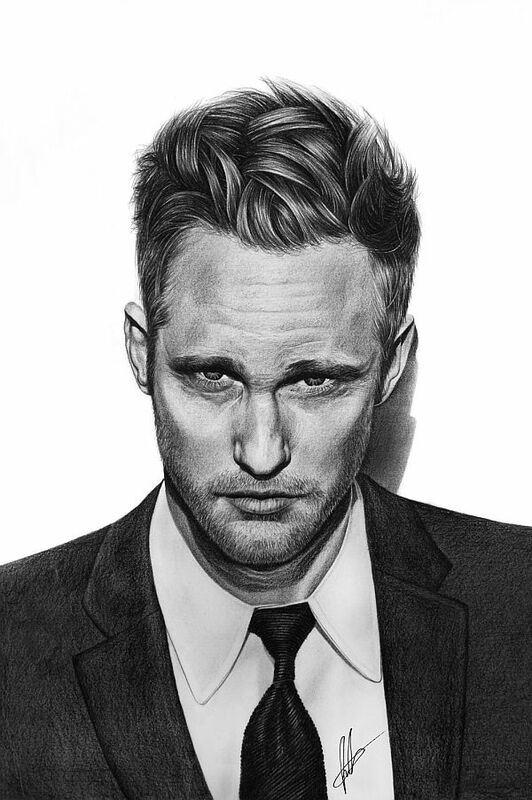 After a brief appearance in Zoolander, playing the role of Meekus, Alexander Skarsgård has been making hearts swoon since 2008, when he landed the role of Eric Northman in HBO’s hit series True Blood. This portrait captures the Swedish bombshell’s overt sensuality and masculinity, with an excellently drawn icy stare, the great textured bed hair, and the painstakingly designed five o’clock shadow. Dita Von Teese is the very embodiment of Golden Age Hollywood glitz and glamor. That’s why this simple, black and white portrait makes for such an extraordinary piece of work. Rather than accentuating the larger than life persona that is Dita Von Teese, this portrait goes for a more intimate approach, exchanging burlesque for shyness. Staying on the theme of lingerie, this is a lovely little study of clothing and shading. Not quite as realistic as her other portraits, this drawing still perfectly showcases Laura’s technical prowess and her eye for atmosphere, giving you a delicate little snippet into what can be considered, perhaps, a moment shared between artist and model. 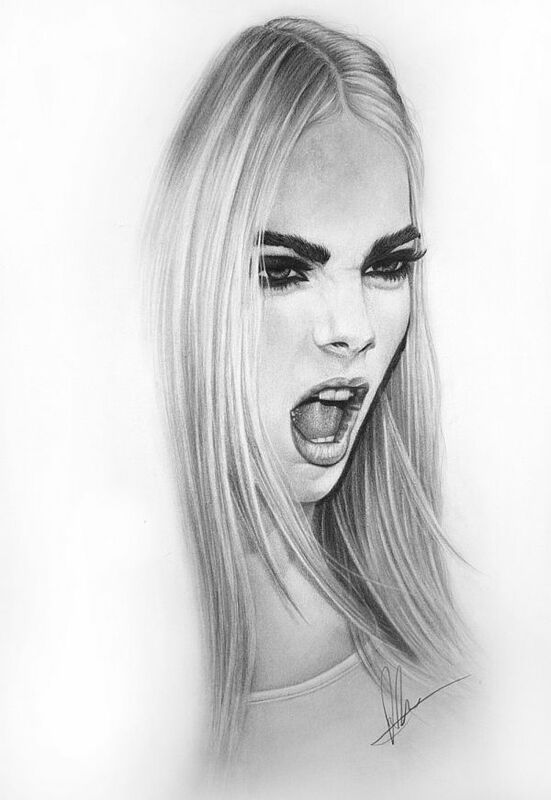 Cara Delevingne is one of the hot new faces in the fashion industry, having modeled for the likes of Dolce & Gabana, Chanel and Stella McCartney. She is also currently the face of Burberry, and has modeled for Cadbury in their chocolate ads. Being known as a model with personality and attitude, she was an excellent pick for this fierce portrait that illustrates the artist’s control over lighting. The portrait also oozes character, having the model in what could in no way be described a glamor shot, more of an expression of self and determination. This is a portrait of Madzilla, made after an original photo by Stephen Garnett. It has a Sin City vibe about it, because of the intense red, contrasting with the gray and white of the rest of the drawing. It’s also a fair bit more stylized than her usual work. Lana Del Rey has been for some years now a veritable fashion icon. Her trademark 50’s Americana look, mixed with modern sensibilities has brought about somewhat of a fashion revolution. 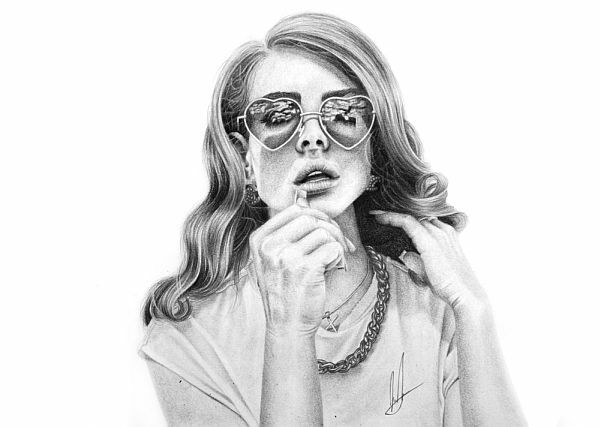 Laura’s portrait of Lana Del Rey captures the Californian vibe the artist so effortlessly emanates. Another fantastic color portrait, this time of model Stella Rose Saint Clair, after a photo by Angel Ceballos. 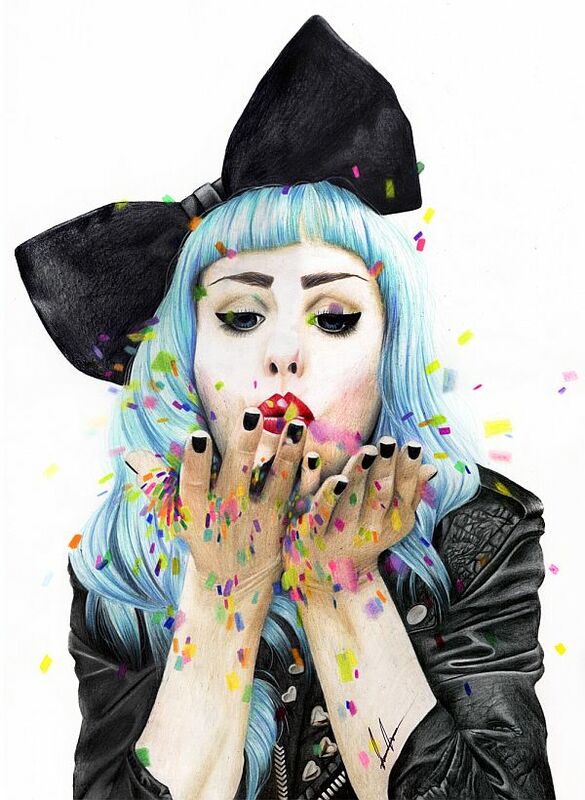 The mixture of black, pale-blue and the rainbow colored confetti gives this drawing a wonderful childlike gleefulness. Isn’t Little Jack just the sweetest little dog you’ve ever seen? 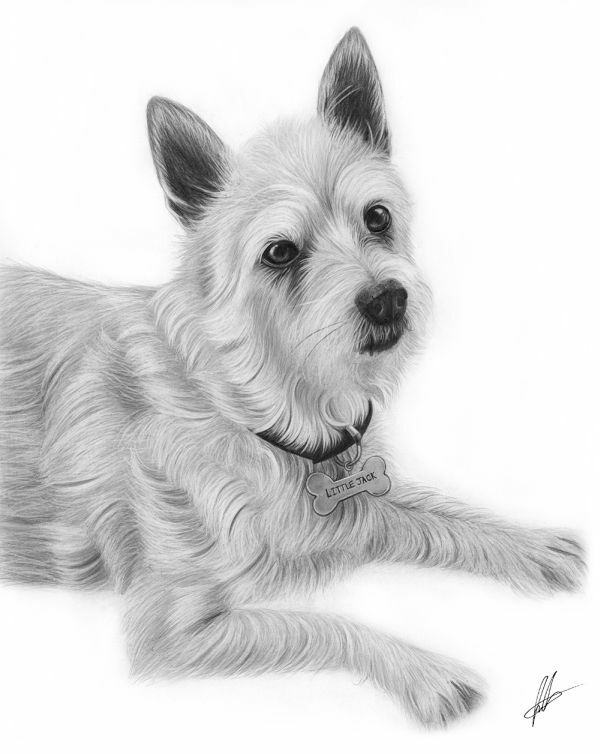 This portrait was commissioned for the owner’s birthday, and what a lovely gift to receive. 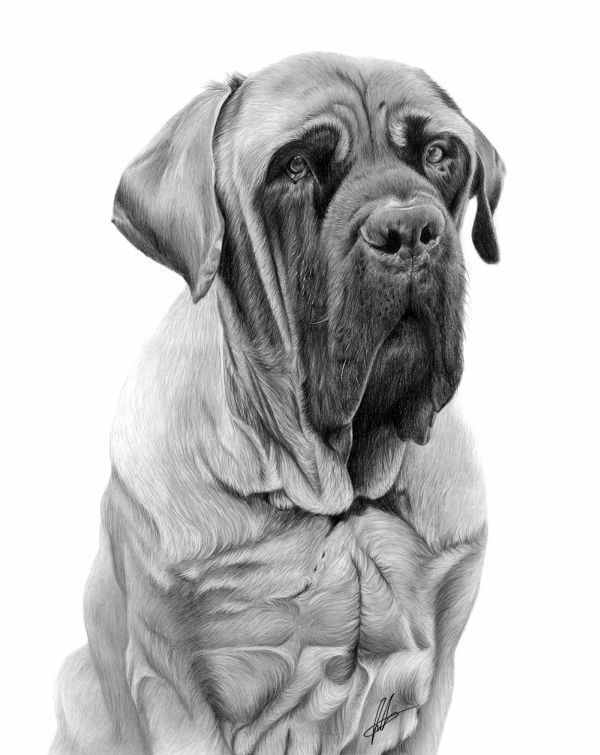 The work put in to drawing the dog’s fur seems almost titanic, but the result really is a stunning portrait. Because you can never look at just one picture with dogs, here’s another adorable puppy. A big, slobbering puppy, but a puppy nonetheless. Yet another portrait of the fabulous singer, only this time it’s a detail study that brilliantly captures her eyes, nose and, most importantly, her luscious lips. 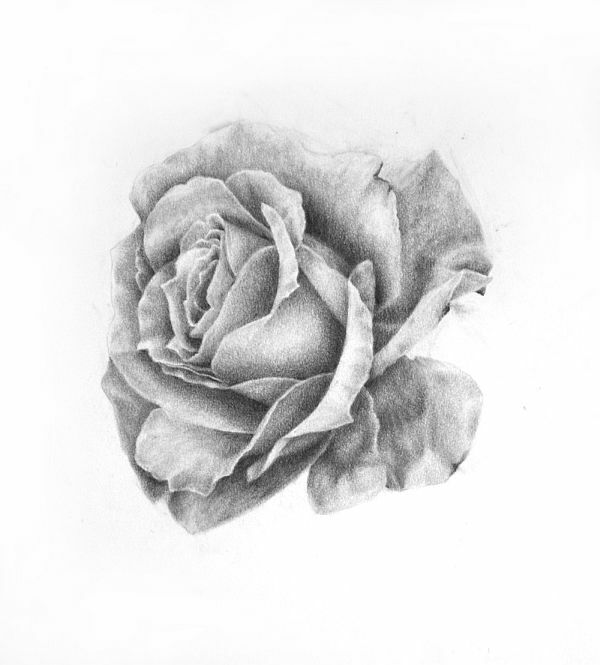 This drawing brings PJ Harvey’s “Last Living Rose” to mind. It could just as well be the cover of the single. Although just a blending study, the pale, almost withering beauty of the rose stands in stark contrast to the ordinary bright-red rose we’re accustomed to seeing. We hope you enjoyed Laura Eddy’s drawings as much as we did. Be sure to let us know what you think of them and which is your favorite one, in the comment section below.